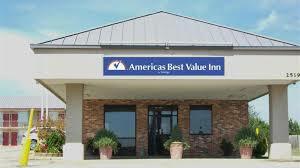 Americas Best Value Inn-Ardmore, Oklahoma offers affordable and comfortable accommodations in an ideal location off I-35 at Exit 33 near popular attractions such as Ardmore Regional Park, University Center of Southern Oklahoma, and Ardmore Convention Center. ABVI - Ardmore offers clean spacious rooms, business center, guest laundry facility, an outdoor pool, and free Wi-Fi throughout the property. All guest rooms include microwave, refrigerator, coffeemaker, cable TV, ESPN, HBO, desk with lamp, free local calls, and wake-up service. For your convenience our hotel offers both smoking and non-smoking rooms. Pets are welcome, charges apply. For those guests that are in town on longer term corporate assignments or business trips we also offer special weekly rates, as well as direct billing options.